Mumbai is a popular city in the state of Maharashtra that keep growing and has a lot to offer its inhabitants. Cities like Thane and Navi Mumbai are a part of the Mumbai Metropolitan Region (MMR) today. While the number of suburbs is many, Badlapur is one suburb in Mumbai and a part of the Thane District that many seem to taking about these days. Badlapur has come a long way over the past couple of years in terms of infrastructure, public utilities, residential & commercial spaces, etc. Filled with lush greens and wide open spaces, Badlapur offers a modern-day lifestyle with manmade creations and the natural beauty of nature as well, a balance that is definitely loved by one and all. The real estate market in Badlapur is booming today with a number of residential as well as commercial projects throughout the region. With all that it has to offer, Badlapur has turned into the ultimate destination for home buyers and investors as well. Well, who would not want to live in a suburb that offers a modern-day lifestyle with an environment that is filled with beauty and space? There is nothing that you cannot find in Badlaur. Places like schools, colleges, medical centres, hospitals, cafes, restaurants, malls, shopping centers, cinemas, convenience stores, supermarkets, all kinds of public transport and a lot more can be accessed in the shortest amount of time possible. 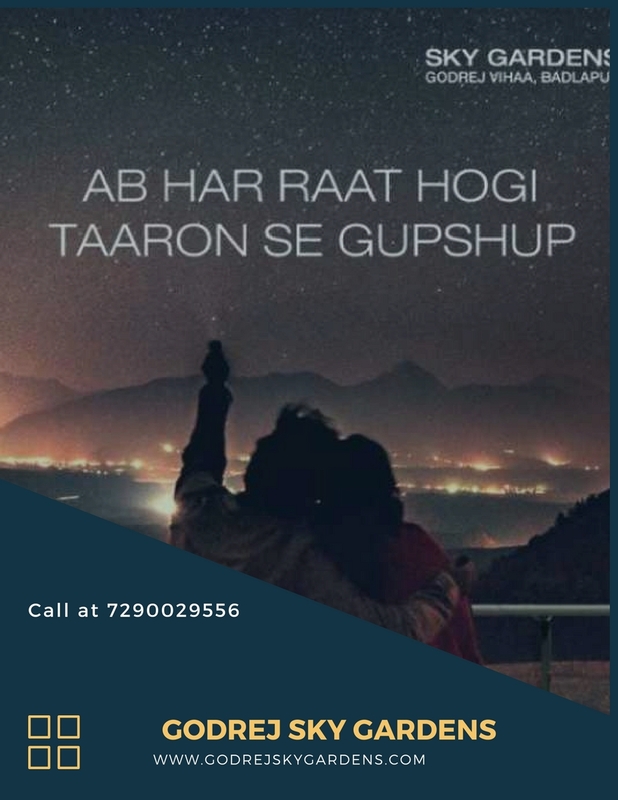 Badlapur is suburb that strategically located and offers fast connectivity to other prime locations throughout the Mumbai Metropolitan Region (MMR). You will also find a number of sightseeing spots, resorts, dams, beautiful temples and more that you can visit with your family and friends. As this suburb continues to go through constant development, the rise in property price is increasing as well. Without a doubt, this is a win-win situation for both, home buyers and investors as well. Long-term profits are something that you can definitely expect when investing property in Badlapur and there are no two-ways about it. Yet, looking out for a genuine project by a popular real estate company is very important at the end of it all. Godrej Sky Gardens: Fabulous apartments with rich features for a well-endowed lifestyle. Godrej Sky Gardens is a new residential project in Badlapur, Mumbai by Godrej Properties Ltd. that is spread over beautiful acres and offers premium luxury and comfort of the highest level. Containing extravagant towers of 18 floors each, this development offers 1BHK and 2BHK apartments with carpet area sizes starting at 465 sq. ft. and moving up to 711 sq. ft. The development offers a plethora of internal and external amenities for a modern-day lifestyle. 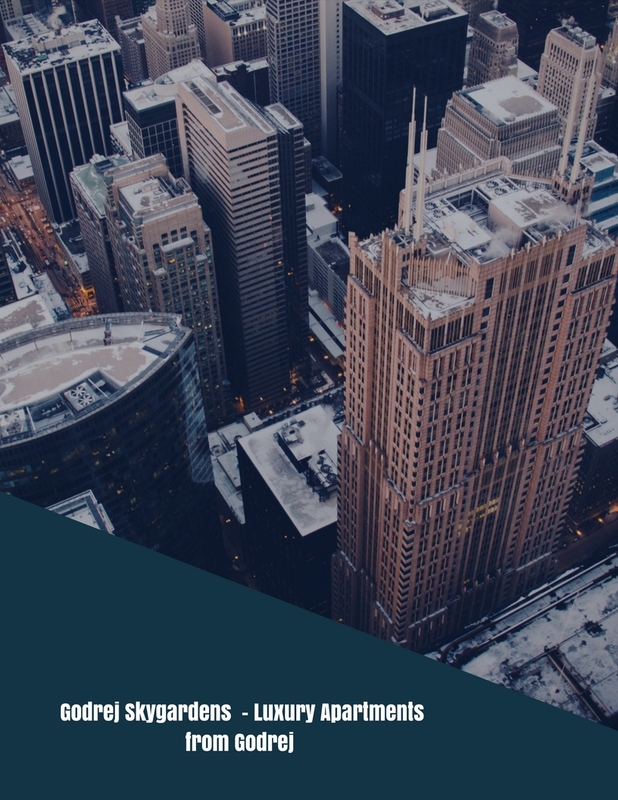 You will find apartments that are well-spaced and contain tough doors and large windows, high-quality flooring in each room, stylish kitchens with multiple provisions, safety features and more. The external amenities at this development include a beautiful clubhouse, gym and and meditation centre, play-area for your kids, swimming pool, 24hour water supply, multipurpose hall, landscape garden and high-end security for total safety. This development also offers spectacular rooftop amenities like a skywalk, party & barbeque area, reflexology pathway, Zen Garden and star gazing deck. Starting at a price of Rs.28.95 lakhs only, the apartments at this development are affordable and definitely worth a buy. You can choose from a number of payment plansalong with a number of home loan facilities, NRI services and more for a hassle-free buy. Godrej Platinum Vikhroli is another new residential project at Vikhroli, Mumbai by Godrej Properties that Offers 2,3,4 BHK & Duplex Apartments. Godrej Alive is one of the latest residential projects in Mumbai by Godrej Properties Limited that offers a comprehensive lifestyle with every element of luxury that will make you feel alive!